The slow-cooker is back, judging from the number of new-wave books out there using the appliance. I’m always surprised to meet people who don’t have one, because mine has saved many busy, stressed-out days. Toss things into it, add some seasoning and turn it on. Six to eight hours later, with no further involvement on your part, you have dinner. It’s like your mother snuck into the kitchen, made dinner, and left without commenting on the state of your house, your children or your job prospects. Even minimalist cooks can bring something tasty out of a slow cooker – it turns sliced potatoes, chuck roast, generous shakes of chili powder and a coating of bottled barbecue sauce into a quite acceptable dinner. One thing to remember when using a slow cooker is that, because of the long cooking time, you will need more seasoning for flavor. And vegetables like potatoes take longer to get tender than meat, so put them on the bottom of the pot, where it’s hotter. Author Kendra Bailey Morris draws on her childhood in West Virginia and her years in Richmond, Va. for her new book, “The Southern Slow-Cooker: Big-Flavor, Low-Fuss Recipes for Comfort Food Classics” (Ten Speed Press, $19.99). One interesting twist in this book is that several of the recipes come with cocktail pairings – now that’s something you never saw in your Mama’s slow-cooker cookbook. The recipes range from simple combinations to ones that require a little prep work before hitting the pot. But those show that a little effort pays off in raising the level of flavor above what you’d expect from a slow-cooker meal. Dr. Pepper Sorghum Roasted Ham rings so many Southern holiday bells: it has ham, uses a soft drink for cooking and includes sorghum. Until recently, sorghum wasn’t widely available, but now it’s regaining its place in today’s Southern cooking. Sorghum is made from sorghum cane, not sugar cane, and is lighter in flavor than its cousin molasses. Sorghum shows up again in Orange Sorghum Sweet Potatoes with Cornflake Topping, which would be a great new dish for Thanksgiving (and a low-effort dish, thanks to the slow-cooker). Recipes range from breakfast to dessert. There’s corn pudding, buttermilk chocolate cake and even the slow-cooker apple butter recipe that I’ve heard tell of and long wanted to try. 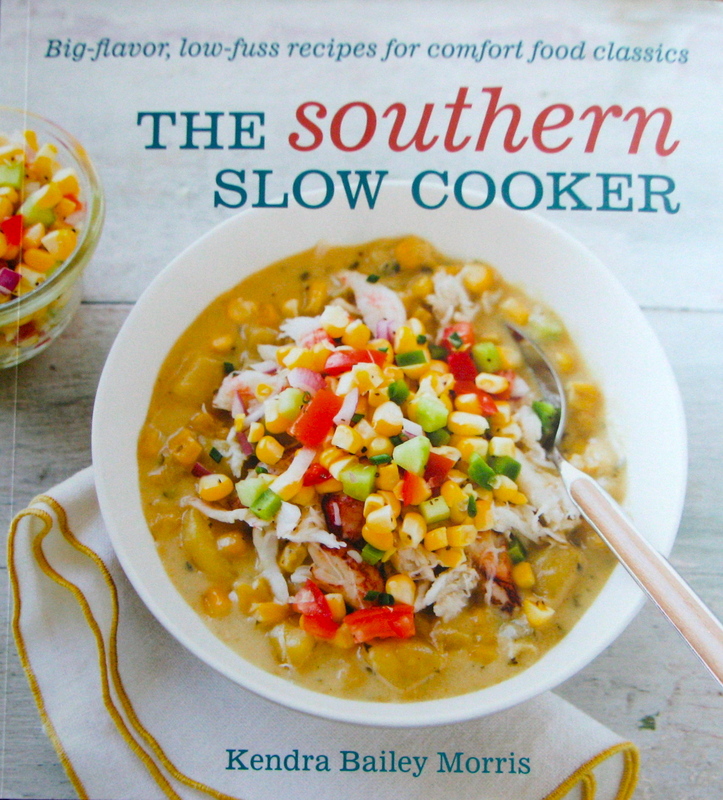 There’s a lot in this book for fans of Southern flavors to love…slowly. 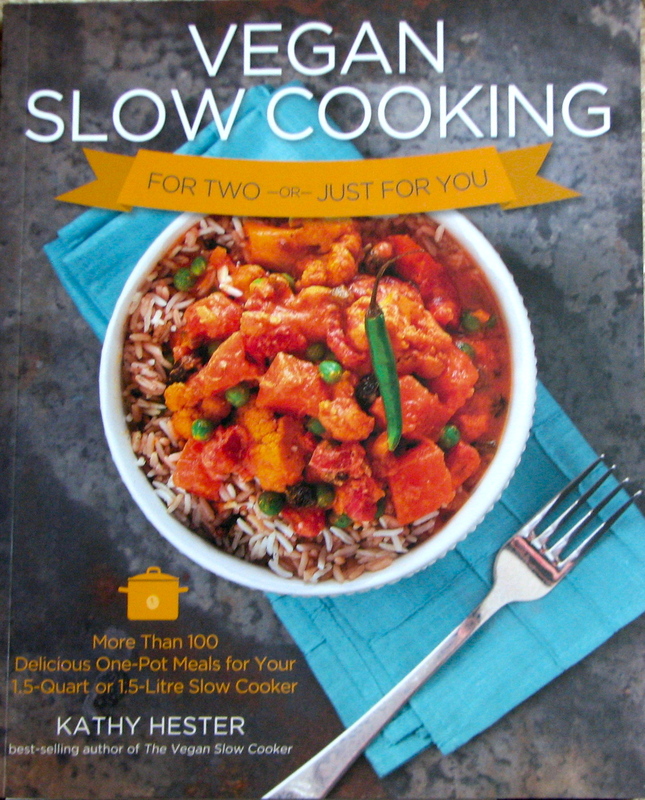 Kathy Hester’s “Vegan Slow Cooking For Two or Just For You” (Fair Winds Press, $19.99) aims at one drawback of slow cookers: they prepare enough food for a horde. No matter how much you like your spouse’s bean chili, you don’t enjoy eating it five days in a row. Hester, who lives in Durham, created recipes using 1 1/2- to 2-quart slow cookers, because with the larger cookers, the cooking quality changes if you don’t fill them up enough. 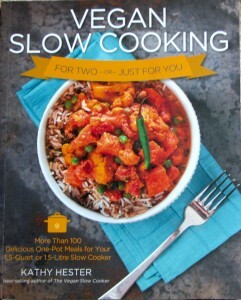 Hester’s earlier book, “The Vegan Slow Cooker,” used the large-size cookers, but most recipes in “Vegan Slow Cooking for Two or Just for You” are new. As with the previous book, each recipe includes options to make them gluten-free, oil-free or soy-free. Recipes go from breakfast to dessert and snack time (including a decadent hot chocolate). Hester has a great way of making vegan dishes exotic and intriguing. I will say upfront that there is no chance of me becoming vegan anytime soon, but the Creamy Veggie Curry, using a plethora of Indian spices, is tempting no matter what one’s dietary philosophy. And Corn and Basil Risotto might tempt the most ardent carnivore. gifts and her family has been known to have relish fights. On the way over, she found out he’s in hot water (hotter than the canning kettle) because her mother discovered he’d been holding out on her. He hid his gift relish for his own use. This is not chow-chow. I have never liked chow-chow dating all the way back to when my mother made it, and I think it’s because of the cabbage that’s traditionally in it. I like kimchi just fine, and the hotter the better. But something about the cabbage in chow-chow just turns me off. 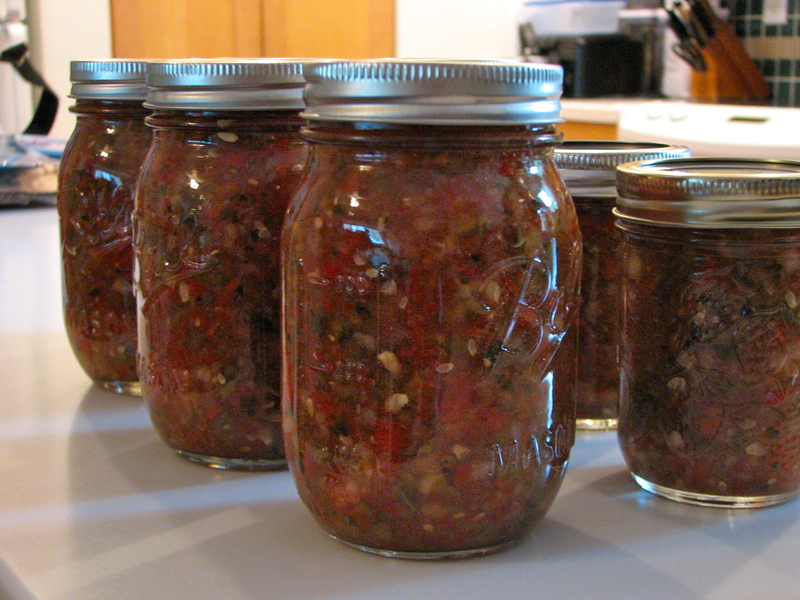 Our relish is tomatoes, zucchini, onions, garlic, bell peppers, just a hint of hot peppers, and a sweet-sour liquid. As we considered our post-relish lunch, an unexpected call came in: A neighbor is overloaded with figs. Figs are my treasure. Fig jam my canning grail. I finally found a spot in my shady yard that’s is, I hope, sunny enough for the fig I planted there to bear fruit, but that answer will come. For now, I still must depend on the kindness of semi-strangers. Figs are now in the canning plan, along with the original Friday adventure: My friend Linda and watermelon-lemongrass jelly.